Queen Elizabeth II is the longest-reigning UK monarch; she is the Queen of 16 of the 53 member states in the Commonwealth of Nations. Elizabeth became the Head of the Commonwealth and queen regnant of seven independent countries: United Kingdom, Canada, Australia, New Zealand, South Africa, Pakistan and Ceylon in 1952. Her coronation service was the first to be televised. Today Elizabeth is Queen of Jamaica, Barbados, the Bahamas, Grenada, Papua New Guinea, Solomon Islands, Tuvalu, Saint Lucia, Saint Vincent and the Grenadines, Belize, Antigua and Barbuda, and Saint Kitts and Nevis. 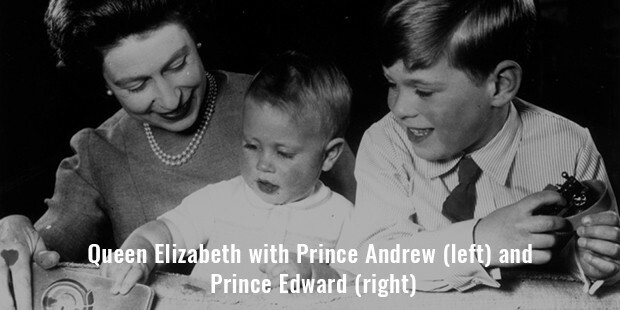 Elizabeth was born to Prince Albert, Duke of York on 21 April, 1926. She was named Elizabeth after her mother. She was educated at home under the supervision of her mother and their governess, Marion Crawford. Lessons usually concentrated on history, language, literature and music. The Princess became the heir-presumptive as her father did not have any sons. Elizabeth received private tuition in constitutional history and learned French from a native speaking governess. Elizabeth’s mother ejected the proposal to send the two princesses to Canada during World War II. At the age of 16, Elizabeth undertook her first solo public appearance on a visit to Grenadier Guards in 1943. At the age of 18 she acted as one of the five Counselors of State in the vent of her father’s absence or incapacity. She joined the Women’s Auxiliary Territorial Service as honorary second subaltern in 1944. 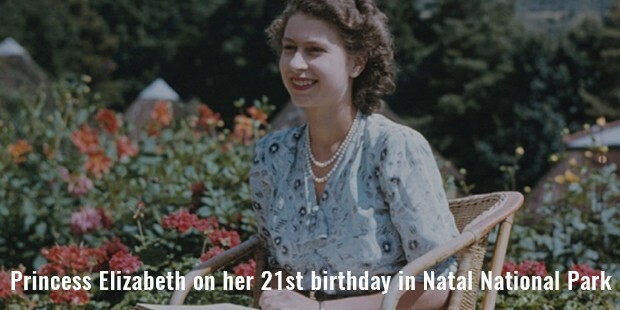 In 1947, Princess Elizabeth went on her first overseas tour and made a pledge during British Commonwealth on her 21st birthday. 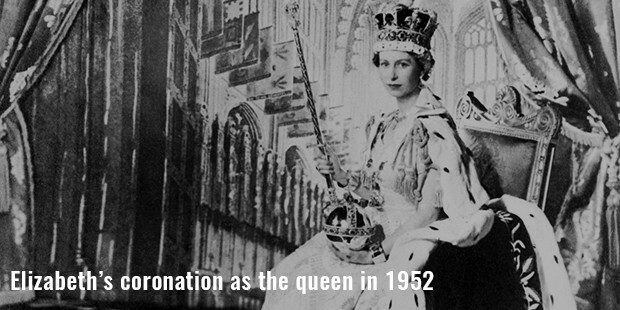 Elizabeth’s coronation as the queen took place in 1952 after the death of King George VI. She was the first reigning monarch to visit Australia and News Zealand. In 1957, she opened the 23rd Canadian Parliament. In 1981, weeks before the marriage of Prince Charles and Lady Diana six shots were fired at the Queen from a close range. 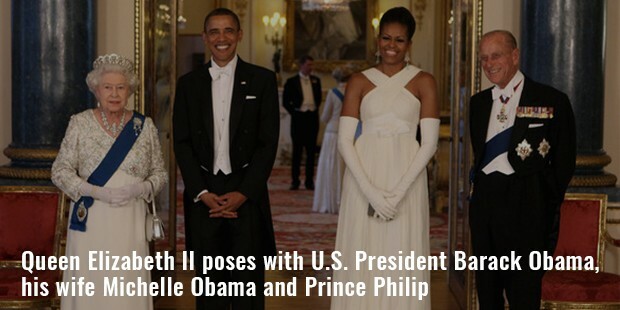 In 1991, Elizabeth became the first British monarch to address a joint meeting of the United States of Congress. Elizabeth’s son Prince Charles and his wife Lady Diana divorced in 1996. A year later in 1997 Diana was killed in a car accident. In 2002 Elizabeth marked her Golden Jubilee as Queen. The golden jubilee was a three day event which was attended by million people. In 2003, she had a key-hole surgery on both knees. In 2006 she had a strained back muscle and missed the opening of the Emirates Stadium. 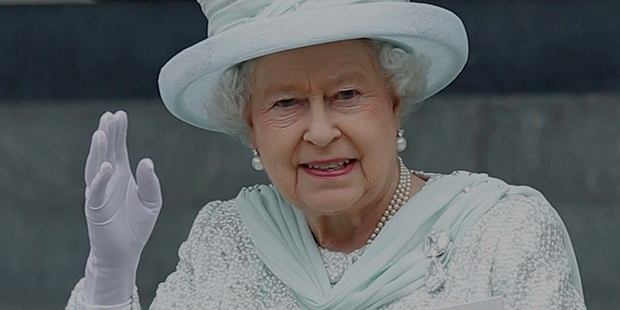 Elizabeth celebrated her Diamond Jubilee as a Queen in 2012. 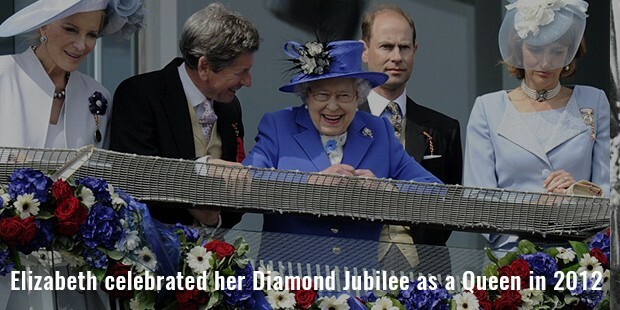 The Diamond Jubilee marked her 60 years as a Queen. She and her husband took tour of the United Kingdom while her grandchildren embarked tours to other Commonwealth states on her behalf. In 2012 she became the first British sovereign to attend a peace-time cabinet meeting since King George III in 1781. 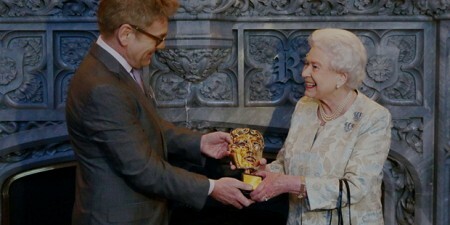 The Queen opened 2012 Summer Olympics and the Paralympics in July and August respectively in London. She played herself in a short film as part of the opening ceremony alongside Daniel Craig as James Bond. Elizabeth rarely gives interviews and talks about her personal life so little is known about her personal feelings. She is known for not discussing her political opinions in a public forum. 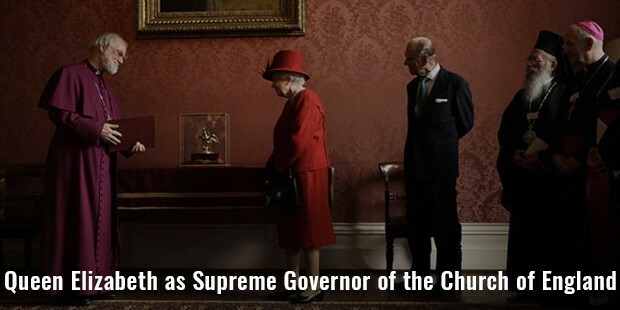 Elizabeth is acknowledged for her deep sense of religious role as Supreme Governor and takes civic duty and coronation oath seriously. 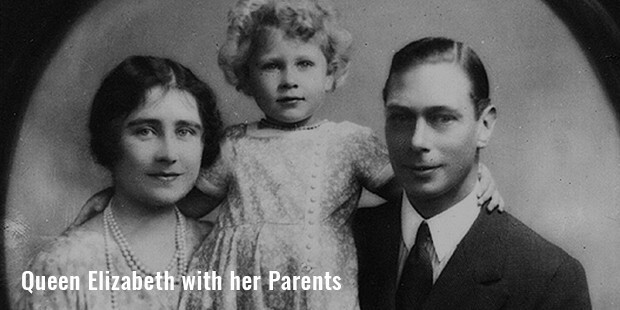 Elizabeth met Prince Philip for the first time in 1934 when she was 13 years old. She fell in love with him. Later they met in 1937 and they both began to exchange letters. They were officially engaged in 1947. 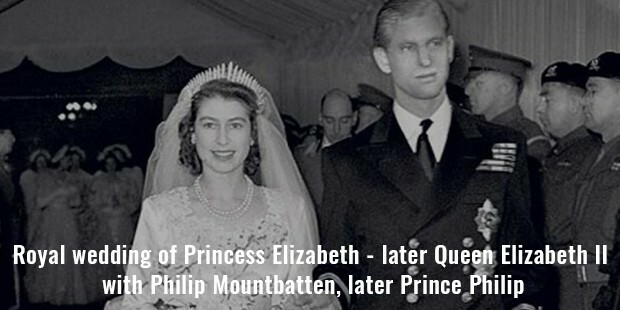 Elizabeth and Philip married the same year at Westminster Abbey. Elizabeth gave birth to her first child in 1948 and a daughter in 1950. She gave birth to Prince Andrew and Prince Edward in 1960 and 1964 respectively. The Queen surpassed her great-great grandmother Queen Victoria and became the longest-lived British monarch in 2007. She is known as Duke of Normandy and Lord of Mann in the Channel Islands and Isle of Man respectively.